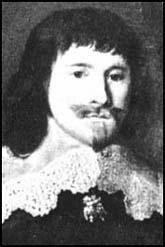 Leonard Calvert, the second son of George Calvert, first Lord of Baltimore, was born in 1606. The family were prominent Roman Catholics in England and decided to establish a colony in the New World for people of their faith. In 1628 Calvert accompanied his father in an unsuccessful effort to establish a colony in Newfoundland. In 1632 George Calvert sent his son and 300 settlers to America. The following year Calvert established a new colony, Maryland, at the mouth of the Potomac River. Calvert became Maryland's first governor and although he retained ownership of the land he agreed to make laws only after consulting the freemen of the colony. Leonard Calvert died in Maryland on 9th June, 1647.